How should you choose a hot water heater? Some of us prefer to wake up in the morning with soft music coming from our alarm clocks, some like to open the curtains and let the sun in, and some simply prefer a strong cup of coffee. But no one we know likes to wake up to the shock of freezing water in their shower, so if this is happening to you, keep reading. Even though water heaters don’t last forever, we don’t think about replacing it until it stops working. But since we rely on hot water for clean dishes, laundry, and hot showers, it’s easy to be hasty about choosing a new one as soon as the old one goes out. Water heaters account for 20% of a home’s utility costs, so it’s important to consider which water heater will not only last the longest, but be the best for your budget. Here are some questions to ask yourself when shopping for a new water heater for your Frederick County home. What type of water heater do I need? A traditional water heater is called a tank water heater and it can be powered with gas and/or electric. Tank water heaters offer a large volume of hot water that can be dispersed to your entire home. They typically keep the stored water at a temperature near 120 degrees Fahrenheit, and you can buy them to hold from 20-80 gallons, depending on your household size. A tankless water heater heats cold water with a gas burner or electric element as it passes through the water heater. These are more expensive than tank water heaters, but they use up to 30% less energy. They can be installed close to the point of use or can supply a whole house. Hybrid water heaters use advanced heat pump technology to pull in ambient air and extract heat to warm the water. You should select a water heater based on the number of people living there as well as how often you use other appliances that use hot water. If you have five people in your house who all get up and take showers in the morning, you’ll probably want at least a 50 gallon tank, which allows for 10 gallons per person. On the other hand, if you have kids who have grown up and moved out since your last hot water heater purchase, you’ll probably want to downsize into a 30 or 40 gallon tank. What kind of warranty do I want from my hot water heater? A water heater manufacturer who is confidence in their product will offer a longer warranty. Some offer essentially the same models with different warranties, such as 6 and 12 years. This may mean the model with a longer warranty has an extra anode, brass fittings, or a better type of tank lining. Some warranties cover parts only. Talk to your trusted Frederick County plumbing professional about the different types of water heater warranties. How do I know what ratings to look for? The Energy Factor (EF) on the water heater will determine the efficiency of the unit. The First Hour Recovery Rate (FHR) or Flow rate indicates how much hot water a storage type of water heater will store and produce in the first hour of operation. The higher the rating, the more hot water you can get during peak usage times. The recovery rate measure refers to how quickly the water heater can produce more hot water after the initial supply has diminished. The higher FHR number, the better. Tankless water heaters are measured by flow rate. A higher number is better. Keep in mind that with tankless heaters, a lower groundwater temperature will reduce its flow rate, so you’ll want to select a model based on your location. Who should I have install my new hot water heater? You should only allow a licensed professional plumber to install such a vital component of your home. A licensed trained plumber is experience in working with gas, electric, water pressure, and high temperatures. You can also bet that your water heater’s warranty will specify that it is valid only when installed by a professional. We are licensed, insured, experienced plumbers who can help you choose the best hot water heater for your home and we can install it right away for you. Just give us a call! What is a Condensing Water Heater? If it’s time for you to replace your water heater or you’re just looking for a more energy-efficient option, ask your plumber about a gas condensing water heater. In a conventional water heater, fuel is burned in an open chamber and hot combustion gas rises through a flue in the center of the tank. Most of the heat is used to warm the water in the storage tank, but some of it gets wasted when it exits through the vent pipe. Condensing gas water heaters have a tank as well, but they are more energy efficient. In fact, some of them are Energy Star certified. Instead of sending the exhaust gases up and out the flue, the condensing unit blows gases through a coil at the bottom of the tank. Cold water that comes in flows around the hot coil and gets heated quickly. The exhaust is cooled to where there is condensation. Like gas condensing furnaces, gas condensing water heaters require venting through a vertical PVC pipe and a condensate drain, so it’s important to have a plumber who is knowledgeable in installing them. After switching to a condensing water heater, you’ll notice lower gas bills and run out of hot water less often. That’s a big deal, especially if you have a large family who enjoys warm showers every morning! Go ahead and do some research. Take a look at Energy Star recommended models of water heaters and then call us. Whether you’re thinking about a tankless water heater, a condensing water heater or just a more energy efficient conventional water heater, we can help you make a decision and help you choose the correct size and brand of water heater for your home, and install it right the first time. We look forward to speaking with you soon. 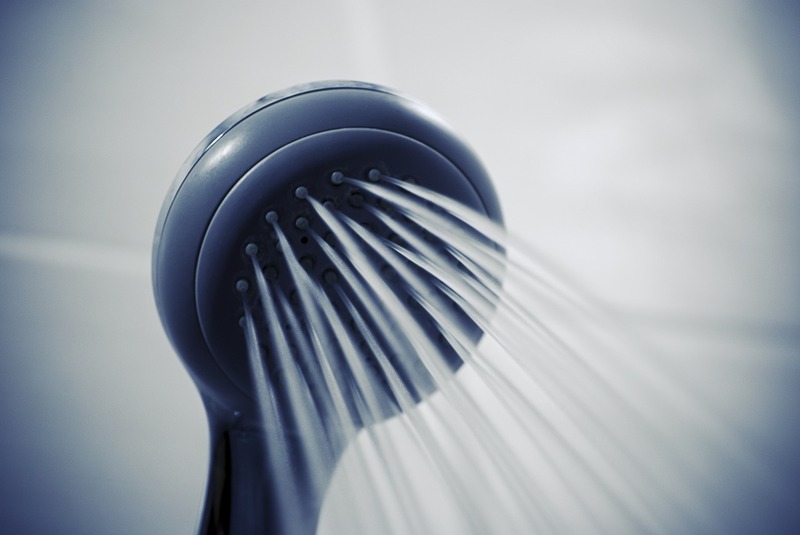 If you want to avoid waking up to a cold shower, it’s important to maintain your water heater. 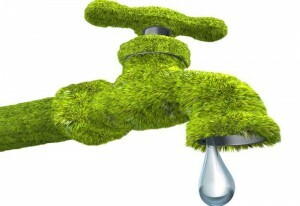 Even energy efficient water heaters will become less efficient if not taken care of. Because water heaters combine water and electricity, it’s always best to have a licensed plumber perform a maintenance check to make sure it’s working as it should be. Drain Sediment that Collects in the Tank. Cold water that flows into the tank has minerals that settle on the bottom of the tank. Over time, that sediment can cause the water heater to stop working efficiently. Most manufacturers recommended draining the sediment periodically, and the best way to make sure it’s done right is to hire a plumber. 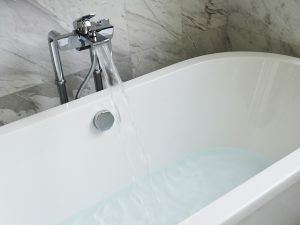 Draining the sediment requires turning off the water and the power to the tank, connecting a hose to the drain valve, and draining some water until it runs clear. Then, we close the drain valve and turn the water to the tank back on and then turn the power back on when the tank is full. Again, it’s best to have a licensed plumber do this because if the power is turned on before the tank is full, the heating elements inside the tank could be damaged. Test the Temperature on the Pressure Relief Valve. This valve near the top of the tank is designed to relieve unsafe pressure that builds up inside the tank. It needs to be tested once a year. To test it, we place a small bucket at the end of the extension tube and lift the valve’s handle parallel to the floor. We watch for a release of steam pressure and water and if this doesn’t happen, the valve may be defective. Again, dealing with steam can be dangerous, so this is best left for a plumber to do. Inspect and Replace the Anode Rod. This rod, made of magnesium, zinc, or a combination of metals, is suspended inside the tank. It attracts corrosive elements so they don’t attack the lining of the storage tank. Since the rod can become too corroded over time to do its job, it needs to be inspected every few years by a plumber. Your water heater only needs to be at 12o for residential use. Lowering the temperature makes your water heater not have to work so hard and reduces the risk of burns. Make sure nothing is stored close to your water heater. Gas water heaters need oxygen to work their best. When you need plumbing help in Frederick County, give us a call. We’re always happy to help. The first time water was able to be heated in a home was in 1868 when a London painter discovered he could heat his water by placing gas burners under his water pipes. Prior to that, there was no hot water to wash dishes, take showers or do laundry. Luckily Norwegian engineer Edwin Ruud heard about the painter’s discovery and used that information to create the first water heater. Ruud brought his invention to Pittsburgh, where word spread fast that water heaters could be sold and installed in homes across the country and eventually the world. We owe a big thanks to both of these gentleman each time we step into a nice warm bathtub full of water! Now that we’ve told you about the water heater’s origin, let’s take a look at a few things you should know about yours. Water heaters use ¼ of the total energy in your home, and most Americans use between 80 to 120 gallons of hot water every year. If you want to keep your energy bill down, run the dishwasher only when it’s full. And as much as we all love a hot bath, don’t take them all the time. Instead, take brief shower on most days instead of filling up the tub. A traditional water heater usually lasts between eight to ten years. You can tell when your water heater is in need of a repair or a replacement, as the hot water tends to run out more quickly or takes longer to heat up. You should have a trusted Frederick County plumbing company check your water heater if it takes a long time for water to heat. Water from a bad water heater may also appear brown and have a metallic taste. According to energy.gov, 120 degrees is the safest temperature to keep your water heater. Try to keep your water heater between 120 and 140 degrees in order to save money and minimize risk of burns, as it only takes five seconds to suffer a severe third-degree burn if you come into contact with water hotter than 140 degrees. It’s hard to remember to maintain a water heater since you don’t look in your basement or closet often, but it’s important to take care of your water heater to make it last as long as possible. Your tank water should be emptied and refilled periodically to remove buildup of sediment, and a knowledgeable plumber from Putman Plumbing can inspect your water heater for leaks or odd smells or sounds. We’ve fixed hundreds of water heater problems and installed hundreds of new units. If you hear any funny sounds or don’t feel like your water is hot enough, let us know. Some Middletown homeowners who want to reduce energy bills are switching to tankless water heaters which heat water only at the point of use, and we can tell you if going tankless would benefit your bills. We’d love to help. According to Water.org, the average American uses 176 gallons of water per day. While a lot of that water needing to be heated for showers and laundry – things we do at certain times of the day – the typical water heater continues to heat water 24 hours a day, 7 days a week, whether we need it or not. There’s a more cost-effective and environmentally friendly method of heating water. 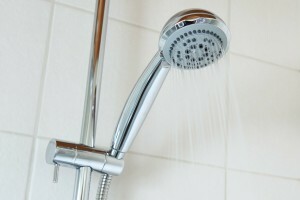 Tankless water heaters are growing in popularity in both new construction and existing homes. Let’s look at a few benefits of switching to a tankless water heater in your Frederick County home. Tankless water heaters only heat water as it’s needed, so they are 50% more efficient than their traditional counterparts. Tankless water heaters last 20 years or longer, where other models need to be replaced every 6-12 years. Tankless water heaters don’t have to be installed on the floor in the basement. They can be placed on a wall in a closet and are much smaller. Storage tanks can only hold so much hot water, so if you have 5 people in your house but only have a 40-gallon hot water heater, the last person’s going to get a cold shower. A tankless model heats water on demand, so you’ll never run out of hot water. You can also combine tankless models to meet large capacity needs such as hot tubs. We at Putman Plumbing are on top of the most advanced plumbing technology, and we can make recommendations for size needs and placement of a tankless water heater in your Frederick County Home. We would love to talk to you about how much money you can save on monthly water bills and how much your family would enjoy endless hot water. Give us a call today! Most of us in Middletown have to pull our kids out of bed on school mornings. But if your kids are jumping out of bed in the morning and fighting to get into the shower first, it’s probably because none of them wants to be stuck with cold water. Your water heater should be able to keep enough water warm enough for each of your family members to get through their morning routine. If that’s not happening, you should probably think about getting a new one. So where do you begin? We have a few tips. You may have more family members living in your house now than you did when you first moved into your home or bought your last water heater. Or, maybe you’re in the empty nest phase. You don’t want to buy a new water heater that won’t match the needs of your current household. 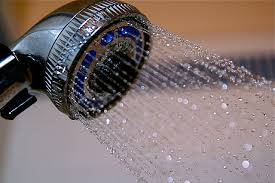 According to Energy.gov, you should calculate the most amount of hot water that is needed at the busiest time of day. For example, if one hot shower takes 10 gallons of water and you have five people taking five showers in a row, that’s 50 gallons of hot water needed. Most homeowners don’t wash clothes and run the dishwasher in the same hour that people are taking showers, but if you do, you might need an even bigger water heater. To find out more about size requirements for tankless, solar, and different types of storage water heaters, you can find more information here at energy.gov. You’ll also need to consider space requirements. A newer model might be shorter and wider than your old one. And if you have to fit it in a closet or other tight space, that can be a big deal. Talk to an expert at Putman about the right size water heater for your family. In April 2015, the government passed new efficiency regulations on water heaters, so by buying a new water heater you will most likely save on utility billst. A tankless, or point of use water heater only needs to warm water as it’s being used. Solar water heaters help lower utility costs and reduce environmental impact. You may also want to ask about Extra Recovery models, High Input models, and High Performance models. If you’re a handy person, it may look like there are only a few steps to removing an old water heater and installing a new one. It may look easy. But there’s a lot more to it than it looks. Here are just a few reasons why it’s important to hire a plumber to do the job. Licensed plumbers keep up with the latest changes in building codes and safety requirements — things that may have changed since the installation of your last water heater. For a gas water heater, a plumber will test to see if it is venting properly to avoid a build up of dangerous gas in your home. A new electric water heater may require more current than an older model. An honest plumber will back up his work. If something isn’t working right after a plumber installs it, he’ll come back to see what the problem is. Before you start shopping for hot water heaters in the Middletown area, call Putman plumbing for advice. We will tell you the size and type of water heater you need, and install it for you right away. You’ll be back to having to pull the kids out of bed in no time. While we’re hoping for mild weather for the next couple of months, it won’t be long until temperatures in the Middletown area will start to drop. It’s a good idea to go through a plumbing checklist before cold weather hits to prevent any disasters in your home. Test the water temperature and pressure. Test the emergency gas shutoff valve and the safety relief valve. Check for proper ventilation to prevent any carbon monoxide leaking into your home. Clean the burner assembly and intake filters. Check for leaks and corrosion. Check for sediment buildup at the bottom of your tank, and drain it if needed. Throughout the spring and summer, plant and tree roots may have grown into your sewer lines causing cracks. If water gets into those cracks and freezes, it could cause big problems. We can inspect the sewer lines and clean them out if necessary, and fix any cracked pipes. If you have a septic tank, now is a great time to have it pumped. Pipes that are in your unheated garage, a cold basement or close to outdoor walls can easily freeze. Wrap them with insulation material or heat tape. This is an easy task that can prevent a major disaster. If your frozen pipes burst, your water bill could skyrocket….up to 10 extra gallons of water per minute. Teach everyone in the house how to turn the water off so they can take charge before too much water gushes out. 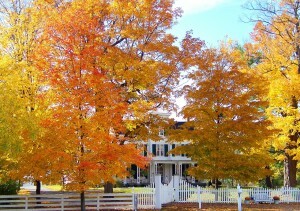 We’re looking forward to a beautiful season. If you need any help with your plumbing, give us a call. If you’re getting a decent amount on your tax return, it’s tempting to spend it on fun stuff. But instead of planning a cruise or a trip to the Poconos, why not invest in something that will improve your home’s value and make it function better for years to come? 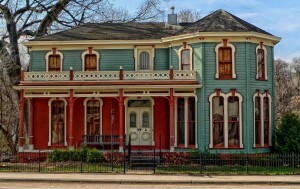 Particularly if your home is older than 50 years, it could have galvanized pipes that have corroded and clogged up. How can you tell? If your water pressure is low, your drains run slowly and you’re experiencing leaks coming from faucets, your plumbing may need an update. You could also have mold in the walls created by water leaking from corroded pipes, which can be dangerous for the whole family. Not only will having your plumbing updated make your home safer and stop some of the annoying leaks, but it will also make it worth more if you plan to sell it in the future. 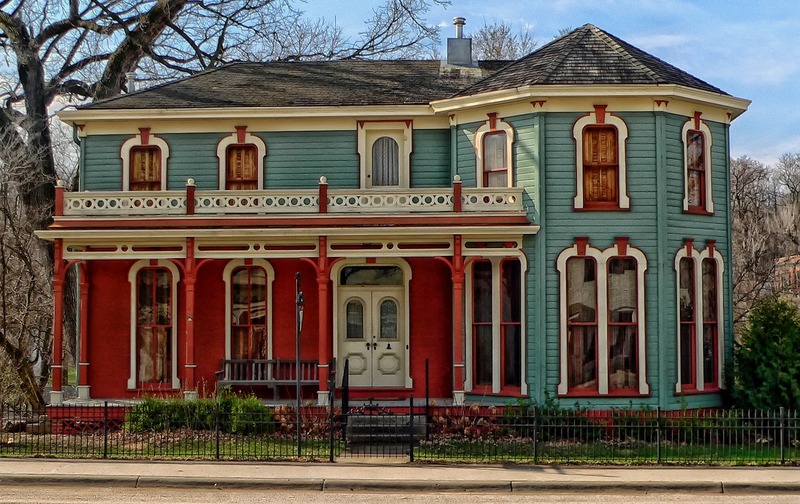 Galvanized piping can decrease the value of your home since there’s a higher chance of water damage, and some cities actually require that plumbing be updated before selling an older home. If old pipes are not your concern, consider upgrading your home’s water heater to a tankless model. Tankless heaters only heat the water as needed, saving money on your energy bills, and they also outlast a traditional storage water heater by up to ten years. Spending your money on plumbing improvements won’t get you a great tan, but you’ll be happy down the line when your home is worth more and your saving on monthly bills. 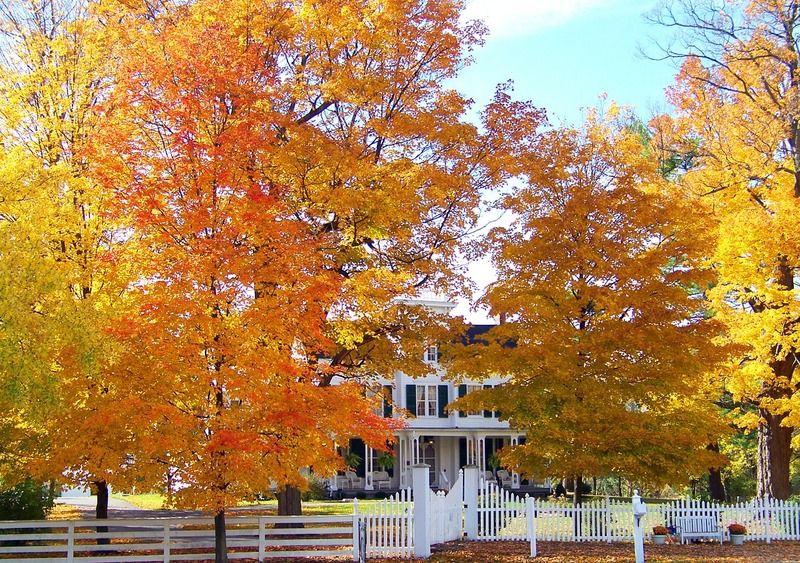 If you live in Frederick County, give Putman Plumbing a call to ask how we can help. If you never got around to some of the home updates you wanted to make in 2014, make a resolution to get them done in the New Year. Doing it for the environment is a great reason to make changes, but you’ll also enjoy not having to pay as much for your energy bills. Starting on April 15th of 2015, the government will require that all new water heaters abide by updated energy standards. This means that from now on, all water heaters 55 gallons or less must meet an Energy Factor of at least 0.95. Builders of new homes and anyone looking to replace an old water heater in their current home will need to purchase one of these efficient models. According to Energy.gov, the second largest energy expense in your home is the water heater. So while a new energy efficient water heater will initially cost you more to purchase, the financial savings you’ll see in upcoming years will make up for it. There are also various rebate and tax incentives to buying certain Energy Star certified heaters. Toilets account for nearly 30 percent of an average home’s indoor water consumption. If your toilets use more than 1.6 gallons of water per flush, consider replacing them with high-efficiency or ultra low flush models that use no more than 1.28 gallons per flush. Another option is the dual-flush toilet that you may have seen commercially, which has a flush button on the bottom for liquid waste and a flush button on top for solid waste. You can cut your shower water use by up to 70 percent by installing an ultra-low-flow showerhead. Many of the older showerheads use more than 2.5 gallons of water per minute, while the newer showerheads use only two gallons per minute. 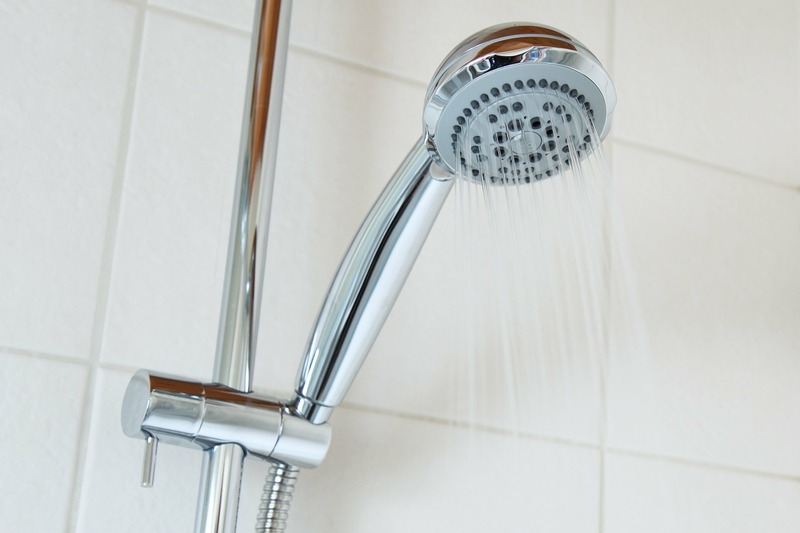 Using ultra-low-flow showerheads will also save you money on your energy bills by reducing the demand on your water heater. If we can help to make your home more energy-efficient in 2015, give us a call. Have a safe and happy New Year! On a chilly morning, there’s nothing like a hot shower to ease you into your day. So before you step into the tub to feel the shock of cold water spraying on your head, make sure your water heater is working properly. Over time, minerals can build up in the bottom of your hot water tank, producing a barrier between the heat source and the water being heated. This means it can take longer to heat your water, which you’ll also notice if the dishes in your dishwasher aren’t getting clean enough. You may even notice a popping or thumping noise coming from the water heater if there is significant buildup. Draining your tank every year or so can flush out the sediment to keep your water clean and hot. Dealing with gas and scalding water can be dangerous, and if your hot water tank is older and you don’t regularly drain and refill it, draining it may actually create an irreparable leak. Your safest bet is to have a professional plumber inspect and drain your water heater for you. During an inspection, a plumber will check the pressure relief valve, drain your tank to remove any sediment, and check for any rust or corrosion. If there is any metal or rust found in your tank’s water, it may be time to replace your anode rod, which is a fairly inexpensive but very important piece that attracts chemicals in the water and keeps them from rusting away the tank liner. If after draining your tank, you still notice that your water isn’t hot enough, it may be time to replace your hot water heater. The average unit lasts 10 to 15 years, so chances are if yours is getting up there in age, it won’t be long before it quits. We’ll be happy to tell you about our selection of hot water heaters, and about the advantages of tankless water heaters. Call us today, so you’ll be enjoying hot water for years to come.